A great tour for all ages including singles or families. 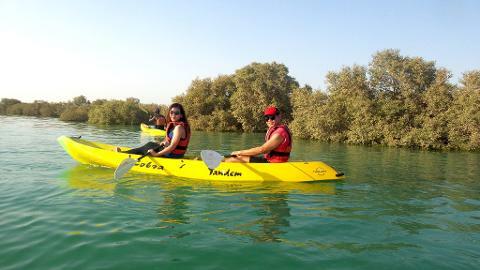 We explore the Al Thakira nature reserve. On low tides we head out to the mangrove bay and under good conditions explore a large channel several kilometers from our launch site. 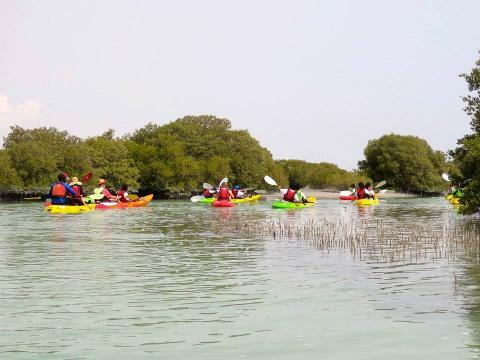 Under higher tides we explore different winding channels of the Al Thakira mangroves taking in the views of wildlife life including reef egrets, terns, herons as well as enjoy an occasional jumping fish. We usually stop at local beach to relax. Our biology specialist will share with you his love of this great Qatari ecosystem delivering an interesting ecology and biology speech. Come out enjoy relaxing away from the busy life in Doha. 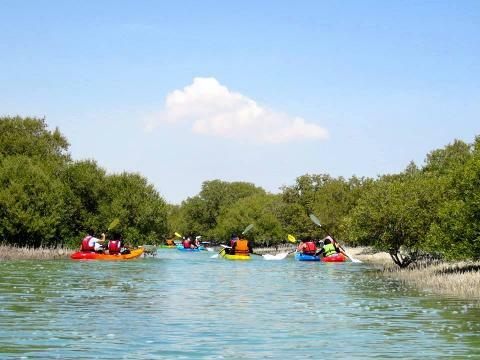 Our biggest thrill is sharing with you our love for nature and all it has to offer here in Qatar.